Human Herpesvirus 8 (HHV-8) was discovered in 1994. Its highest prevalence is in Africa. HHV-8 is the cause of Kaposi’s sarcoma. 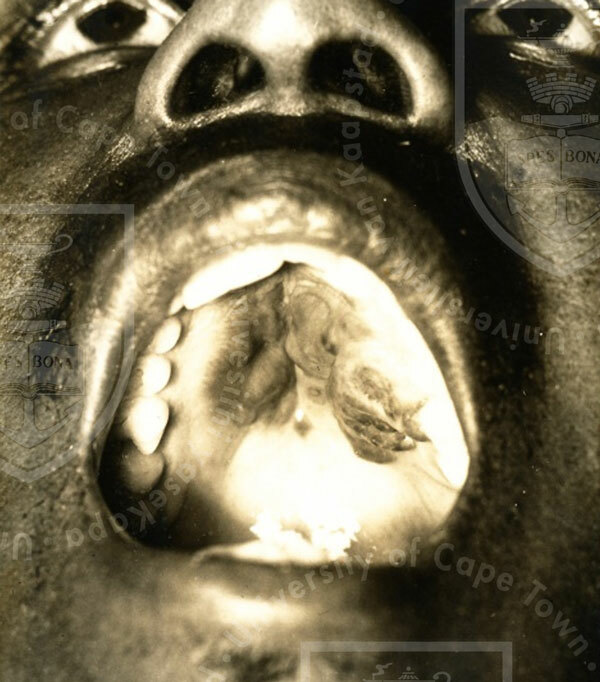 Endemic or African Kaposi’s sarcoma was recognised in the 1950’s. AIDS associated Kaposi’s sarcoma emerged in the 1980’s. The two clinical subtypes now co-exist in Africa. 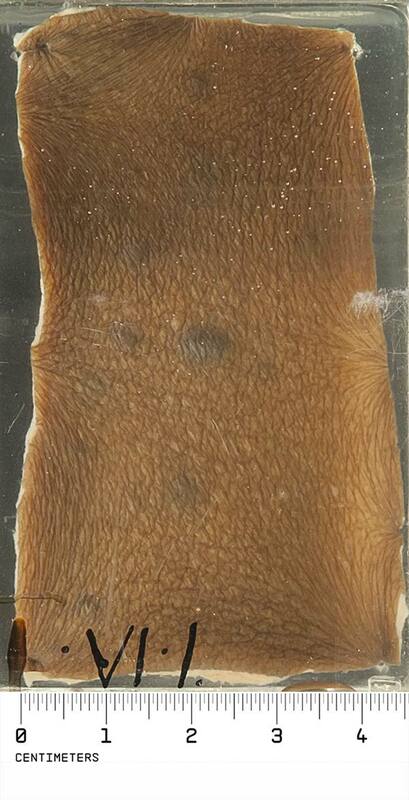 Clinical data: This case dates from 1957. 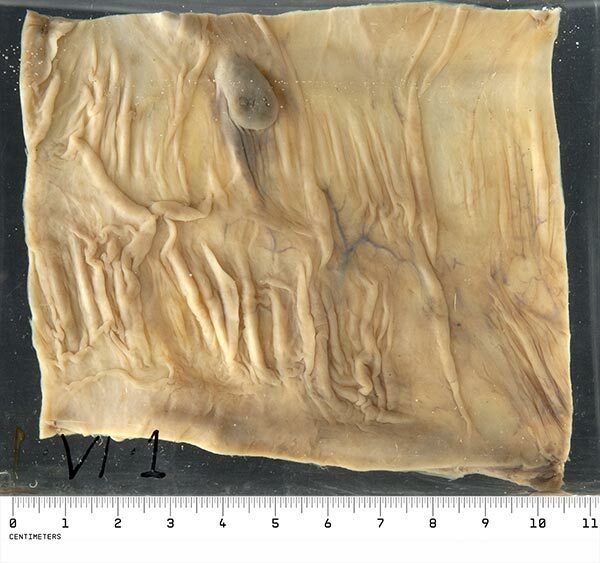 The patient was a man aged 40 years about whom no other medical history is recorded. 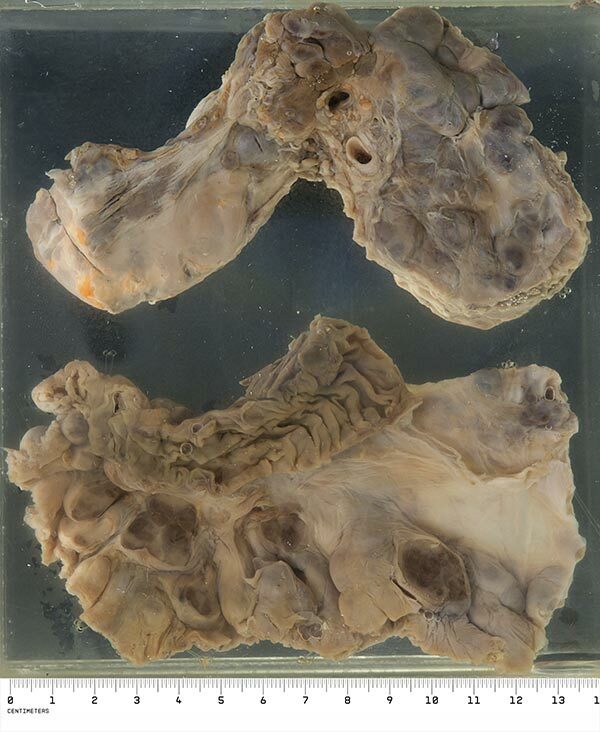 Macroscopically: These specimens (involving skin, kidney, stomach and small intestine) show the gross appearance of individual nodules of Kaposi’s sarcoma in skin and mucosa, and the visceral distribution of the tumour at sites where lymphoid tissue normally abounds. Microscopically: Aberrant angiogenesis, proliferating HHV-8-infected elongated spindle cells and inflammation are the hallmarks of KS lesions. 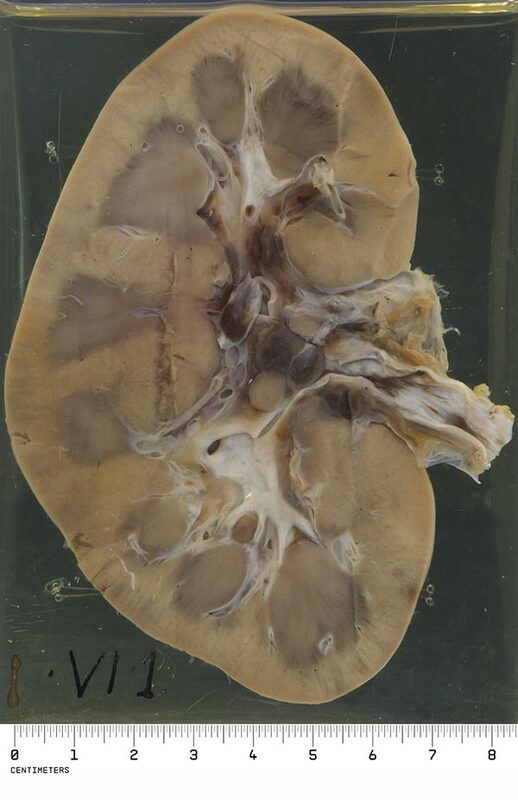 Comments: This is case of "florid" endemic KS, showing visceral (organ) involvement. Endemic KS more often occurs in its benign nodular form which resembles the "Classic KS" seen in Mediterranean countries - small raised purplish papules or nodules spreading slowly in the skin, rarely forming secondary deposits in regional lymph nodes. KS is a multifocal, oligoclonal disease. The exact histogenesis (i.e. tissue or cell of origin) of KS is still under research, but it generally agreed that it probably derives from lymphatic endothelium. It appears that HHV-8 infects endothelial progenitor cells and causes dedifferentiation and proliferation via the influence of viral oncogenes. In an immunosuppressed host there is uncontrolled expansion of the virus infected cells. In African children a rapidly spreading lymphadenopathic form of KS occurs. Stein ME, Spencer D, Ruff P, Lakier R, MacPhail P, Bezwoda WR. Endemic African Kaposi's sarcoma: clinical and therapeutic implications. 10-year experience in the Johannesburg Hospital (1980-1990). Oncology. 1994;51(1):63-9.